← WIP Wednesday: The Silence of the WIPs! What’s that creaky sound? Oh, it’s just my knees. I’ve been doing a lot of “I’m nearly there!” spinning the last few days, racing through the singles and plying with purpose, somewhat defeating my intention of having a spinning wheel to quietly relax in the dark evenings while snow falls gently outside (yes, that’s the image I had in my head). I don’t mind though because I find spinning incredibly satisfying, and I’m excited that I nearly have this project complete! I do have a finished object this week though- my watermelon socks are done! Even though it’s just my old standard afterthought heel sock recipe, I still love having a new pair of socks done. I’m posting all these on Instagram under #operationsockdrawer. Operation sock drawer does what it says on the tin-it’s all about filling your sock drawer with beautiful (and warm!) 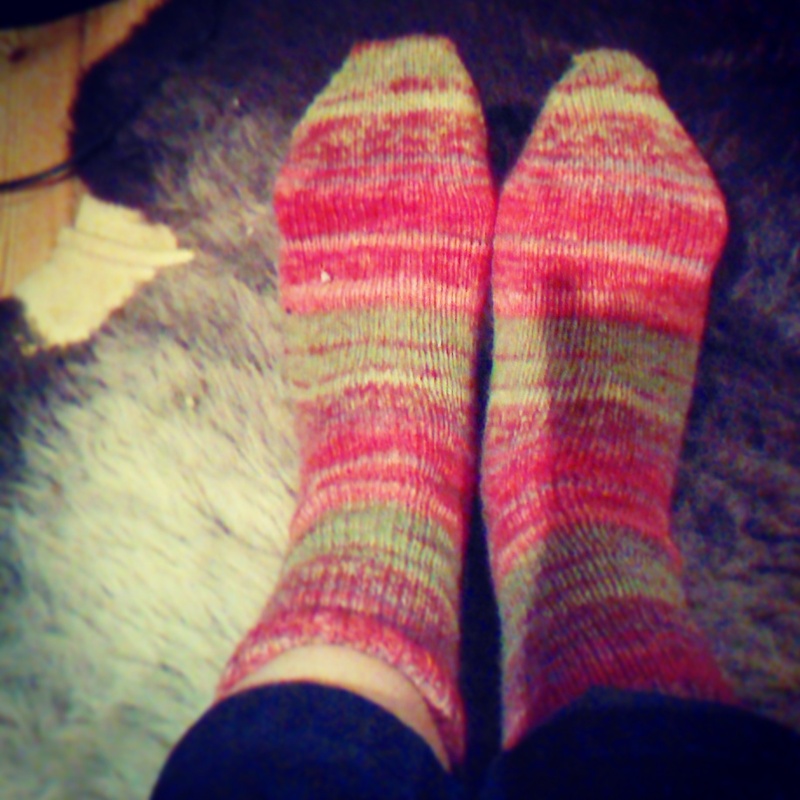 hand knit socks and sharing your photos with other sock knitters! On a side note to the sock knitting, I wanted to mention the citric acid fix posted by Jasmin of the Knitmore Girls Podcast. This is a method to easily fix any yarn which is still bleeding dye. It can also be used as a preventative measure on your hand knits just in case. I picked up some citric acid yesterday to give it a go, so I’ll let you know how it turns out. This is turning into more of an FO post than a WIP post, but that’s because I don’t want to post Xmas gift spoilers :) I do have one last FO to share though, and that’s the quilted notions purse I talked about making last week. My sewing skills leave a bit of accuracy to be desired, but I love it and it’s so simple to make. Those colours make me smile :) I’ll be posting a tutorial up soon so you can make your own. 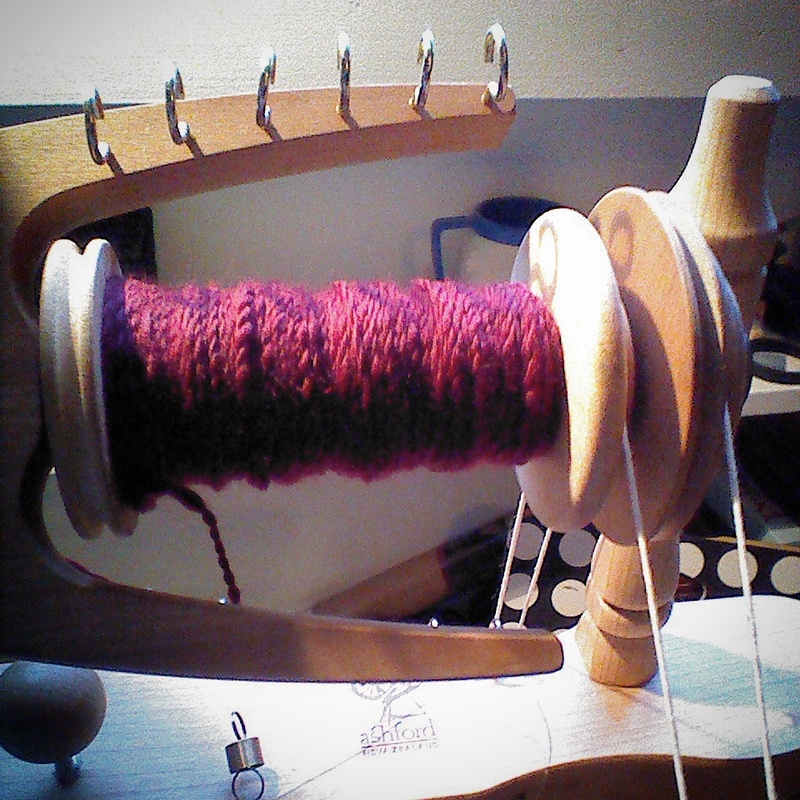 What do you have going on your needles/spindles at the moment? I’d love to hear! Leave a comment in the thread below. 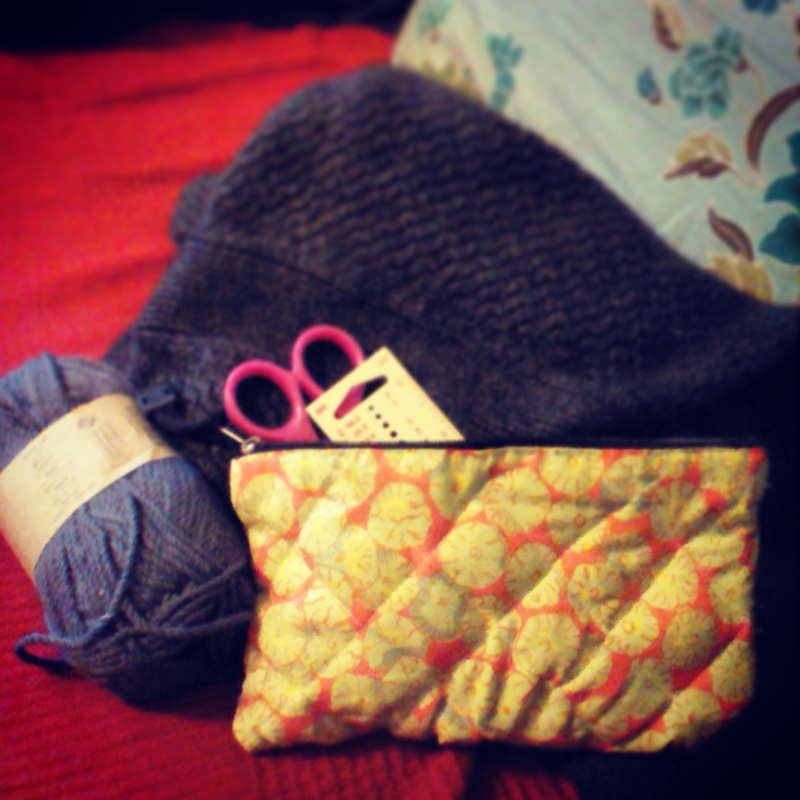 This entry was posted in Spinning, WIP Wednesday and tagged citric acid fix, Copenhagen, Craft, Danmark, dye fix, Håndarbejde, knitmore, Knitted Socks, Knitting, Knitting blog, notions purse, Spinning, spinning blog, Strik. Bookmark the permalink. 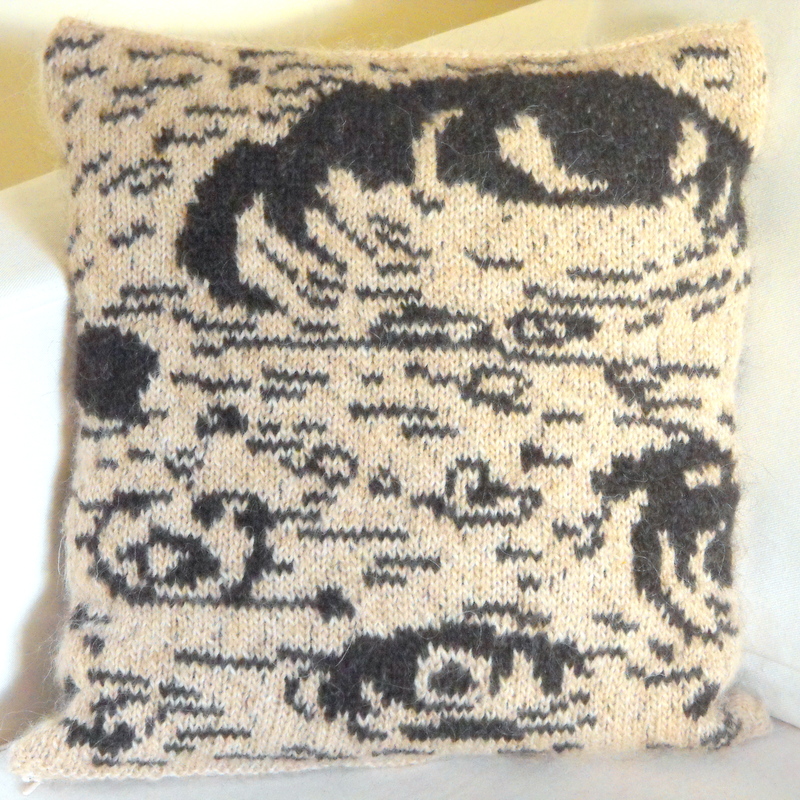 5 Responses to WIP Wednesday: Spinner’s Knee! Your spinners knee sounds like my weavers shoulder! Lol! We almost have a dictionary of crafter’s medical terminology jennishah! Let’s add “knitter’s wrist” in there too. Love it! It beats jogging…!